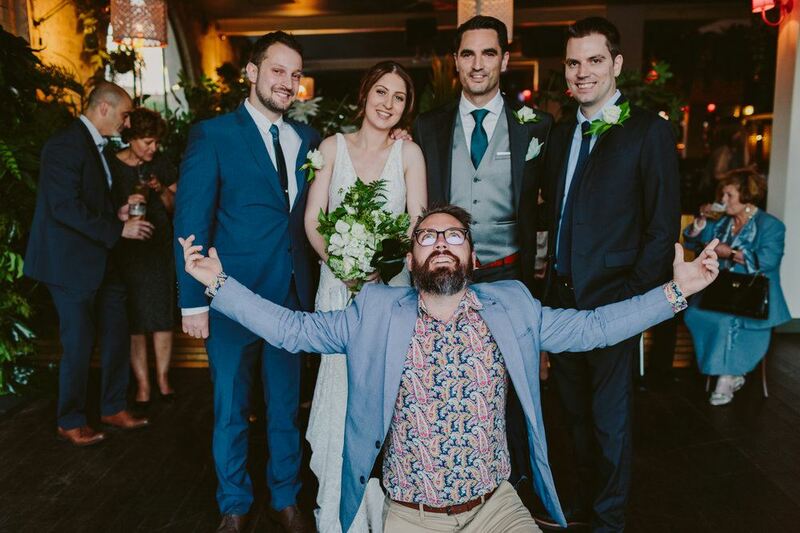 INNER SURBAN NON-TRADITIONAL WEDDING VIBES: TICK! If you were ever looking for two people who wanted to run from the traditional lovey-dovey mushy kind of affair then you can stop now that you have found Paul and Laura. 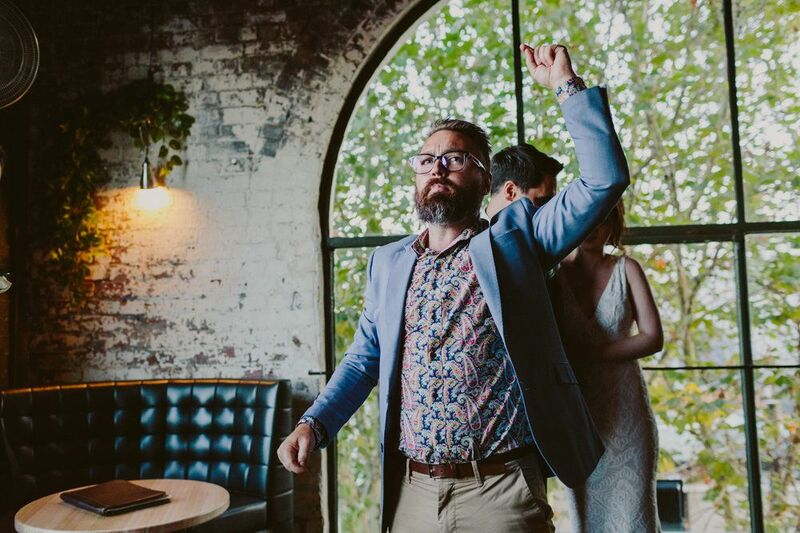 Aside from Paul's alternate jobs as being Todd Sampson's doppelgänger or semi-professional groomsmen, he also likes to take to the centre stage with the love of his life, in front of a crowd of very cool people and get married.